Sunburned Mind, the debut physical release from Hamilton’s Magic Shadows, revels in a vintage sound, melding the musical stylings of the last three decades by fusing elements of droney shoegaze with the balls-to-the-wall attitude of garage and DIY punk. Considering the band’s name comes from the classic Canadian television series of the same name, it’s not surprising that the Sunburned Mind 7″ takes on the feel of an acid trip gone wrong as it patiently plays with various tones and timbres allowing for a wide range of sound to emerge from repetitive progressions. The title track opens the 7” with a subtly eerie progression, perfectly setting the tone for the listener. Starting with a chord progression on a clean channel, the riff is picked up in unison by the bass and a heavily distorted second guitar, creating a dissonance that carries through to the end of the song. The vocals shine through, not so much in volume but more so in melody, invoking the likes of early Ramones or other proto-punk vocals. The presence of various overdrive effects gives the song a very full-bodied sound, which of course has always been a staple of shoegaze music dating back to My Bloody Valentine and Slowdive. Though there is a lead guitar riff on the title track, it is somewhat drowned out by the wall of sound created by the backing instruments. This is not a negative, however, as it too adds depth to the track, accentuating the vocals, especially during the wailing chorus. Overall it is a “catchy” song, if in somewhat of an atypical fashion. No one instrument stands out above the rest, but the song as a whole is presented in a well-crafted manner. The side B track, “Under the Stairs,” truly shows off the punk inspiration, opening with a viscous riff that sounds like the incessant growl of heavy machinery. Quickly breaking off from the onslaught of sound the verse has a call and answer feel to it, each stanza interrupted by the band’s “Ahs.” A lead guitar pierces the monotony of the droning rhythm section, though not a technically proficient lick it fits perfectly with the rebellious attitude of the piece. The power of the vocalist Rich Oddie is very evident on this track, as he is almost required to shout over the instrumentation, yet he remains in key, a feat few are able to perform. Along for the ride are bassist Tyler Cooke, who also plays in garage rock band Mystics, and guitarist Mike Long, who has made a name in Hamilton working in video. Greg Voisin rounds out the group on drums. A 7” such as this tends to only offer a teasing glimpse of the band as a whole. Though they come across as a solid outfit, the true power of their music can probably only be felt at a live performance. The music comes across very heavy, which unfortunately tends to be toned down due to mastering, resulting in a loss of general energy. The DIY feel of the album is a definite selling point to those who demand music with a raw feeling, which does make up for any lack of energy mentioned above. Though the 7” is not very clean in execution, the few flaws that are evident only add to the overall sound. 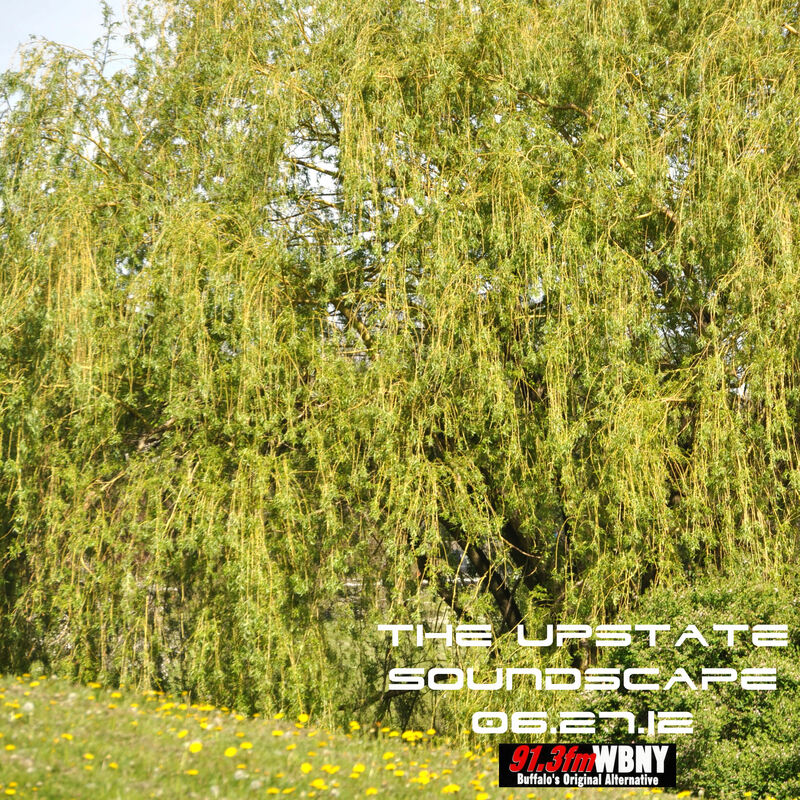 So much good stuff to get to tonight on The Upstate Soundscape. We’ll hear a trio of new tracks from Canadian artists Magic Shadow (Hamilton), M. Mucci (Guelph), and Kyle Bobby Dunn (Ontario). We’ll preview a great show in Troy this Friday featuring DC’s Insect Factory, Brooklyn’s Public Speaking, and Troy’s very own G. Lucas Crane as Nonhorse. Some other great new sounds to get to as well from the likes of Damian Valles and High Aura’d, plus we’ll hear a selection from the just released (and totally sick) Lost Tapes Box Set by Can. As usual there will plenty of other surprises in store. The weirdness will hit your airwaves starting at 9pm on 91.3FM WBNY. Stream at WBNY.org.